In the previous post, we presented a system architecture to translate text from multiple languages with AWS Translate, index this information in Elasticsearch 6.2.3 for fast search, visualize the data with Kibana, and automated sending of customized intelligence with Skedler Reports and Alerts. In this post, we are going to see how to implement the previously described architecture. We are going to define two HTTP API methods, one to translate and index new inquiries and another one to search for them. We will use AWS API Gateway, a fully managed service that makes it easy for developers to create, publish, maintain, monitor, and secure APIs at any scale. The core of our solution will receive the inquiry (as a string) to be translated, translate it and index the text with the translations to Elasticsearch. We will use AWS Lambda. It lets you run code without provisioning or managing servers. You pay only for the compute time you consume – there is no charge when your code is not running. With Lambda, you can run code for virtually any type of application or backend service – all with zero administration. Just upload your code and Lambda takes care of everything required to run and scale your code with high availability. You can set up your code to automatically trigger from other AWS services or call it directly from any web or mobile app. To deploy our AWS Lambda function and the API Gateway HTTP endpoints, we will use the Serverless Framework. Serverless is a toolkit for deploying and operating serverless architectures. The createTicket endpoint will be used to translate the text using AWS Translate and to index the document in Elasticsearch. The searchTicket endpoint will be used to search for documents in different languages. The handler for each endpoint will be an AWS Lambda function. Below is the serverless.yml section where we have defined the two endpoints. As you may have noticed, we used environment variables. They are defined in the serverless.yml configuration file. We are now ready to the deploy our code to AWS. We specified the provider (AWS), the runtime (Python 3.6), the environment variables, our HTTP endpoints and the AWS Lambda function handlers. Given an inquiry, we now have a list of translations. Now, we want to index this information to Elasticsearch 6.2.3. We create a new index called customercare and a new type called ticket. Now that we indexed the data in Elasticsearch, we can perform some queries to search in a multi-lingual way. 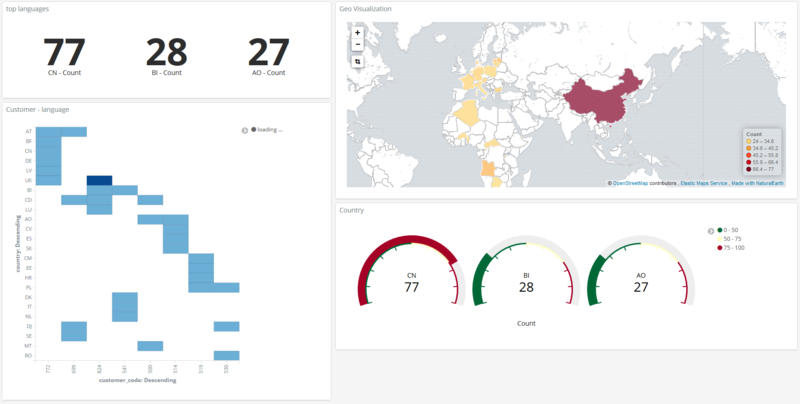 With Kibana you can create a set of visualizations/dashboards to search for inquiries by language and to monitor index metrics (like number of translations or number of translations by customer). Using Skedler, an easy to use report scheduling and distribution application for Elasticsearch-Kibana-Grafana, you can centrally schedule and distribute custom reports from Kibana Dashboards and Saved Searches as hourly/daily/weekly/monthly PDF, XLS or PNG reports to various stakeholders. If you want to read more about it: Skedler Overview. 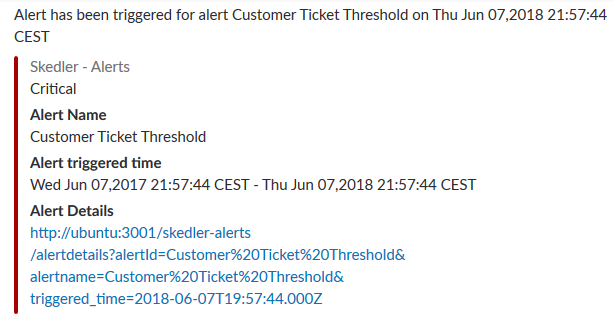 If you want to get notified when something happens in your index, for example, a certain entity is detected or the number of negative feedback by customers crosses a threshold value, you can use Skedler Alerts. It simplifies how you create and manage alert rules for Elasticsearch and it provides a flexible approach to notifications (it supports multiple notifications, from Email to Slack and Webhook). We have seen how to schedule a report generation. We are now going to see how to use Skedler Alerts to get notified when something happens in our index. For example, if the number of inquiries from a specific country hits a certain threshold. Choose the Alert Condition. For example: “the number of ticket in English must be higher than zero”. or “the number of ticket in English coming from Italy and containing a given word must be higher than zero”. The Skedler Alert notification in Slack looks like. 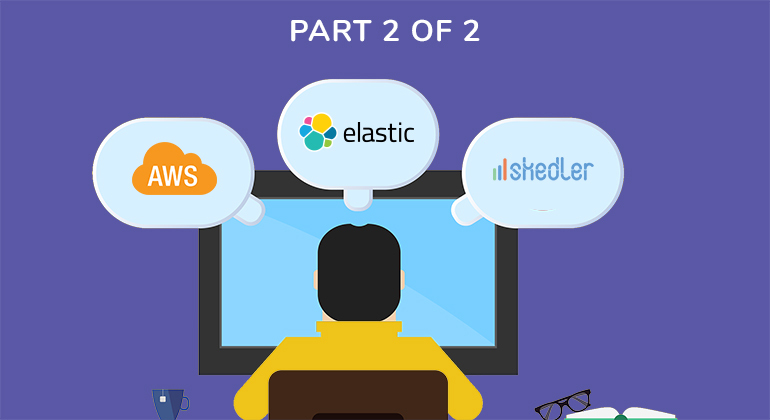 In this two-part blog series, we learnt how to build our own multi-lingual omni-channel customer care platform using AWS Translate, Elasticsearch, and Skedler. Let us know your thoughts about this approach. Send your comments to hello at skedler dot com.